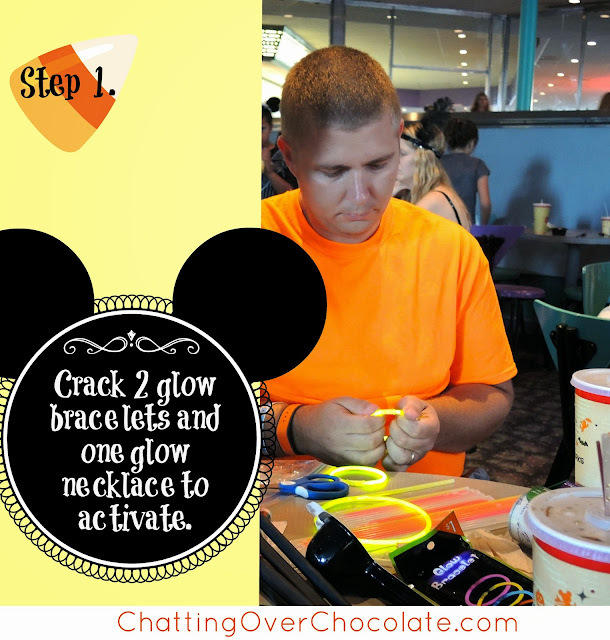 Chatting Over Chocolate: DIY Mickey Mouse Glow Necklaces! DIY Mickey Mouse Glow Necklaces! Happy Halloween(time), friends! Wanna simple and inexpensive way to light up Halloween night with some Disney magic? I've got just the thing! 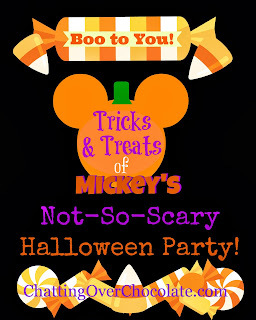 If you caught my Magical Monday post this week, 10 Tricks & 10 Treats of Mickey's Not-So-Scary Halloween Party, today's post is no surprise. 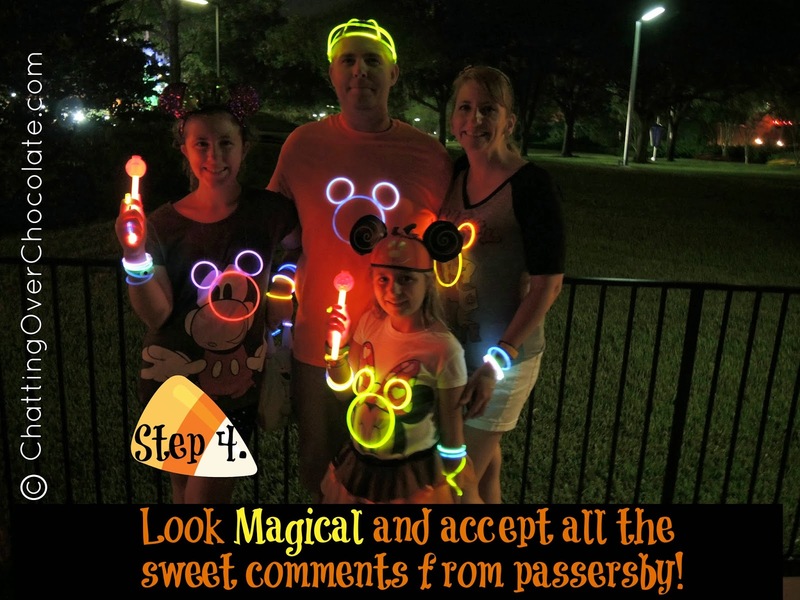 This was what my family and I sported at Mickey's Not-So-Scary Halloween Party during our recent WDW vaca. 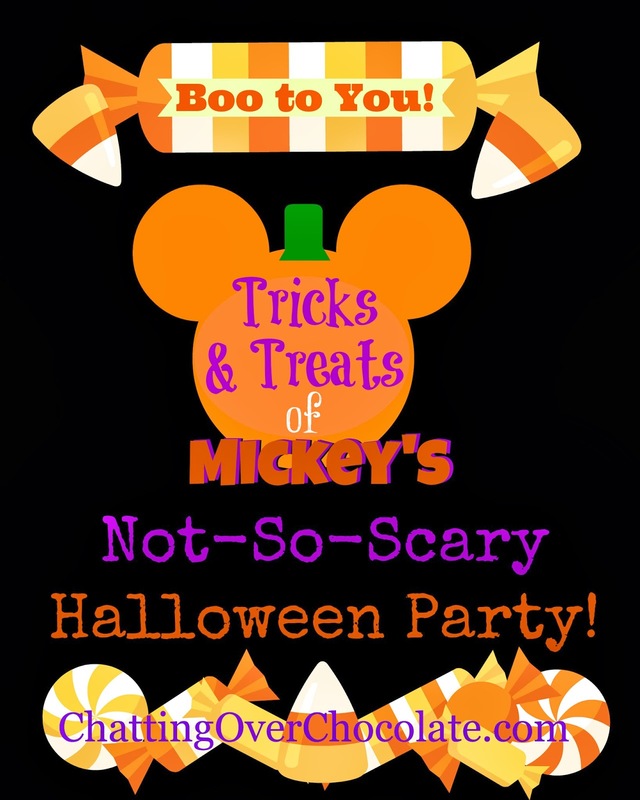 I'm thrilled to share the Disney goodness with you today! My hubby and I make a great team. I came up with this idea and he made it work! 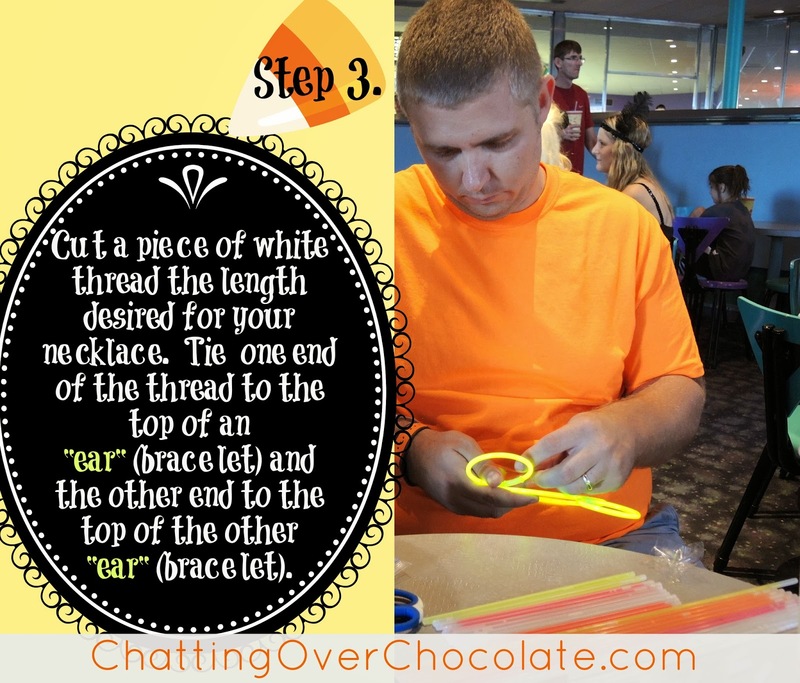 Some snapshots of him concentrating on creating the awesomeness will aid in my step-by-step instructions below. Thanks again, Lovey! You're the best! 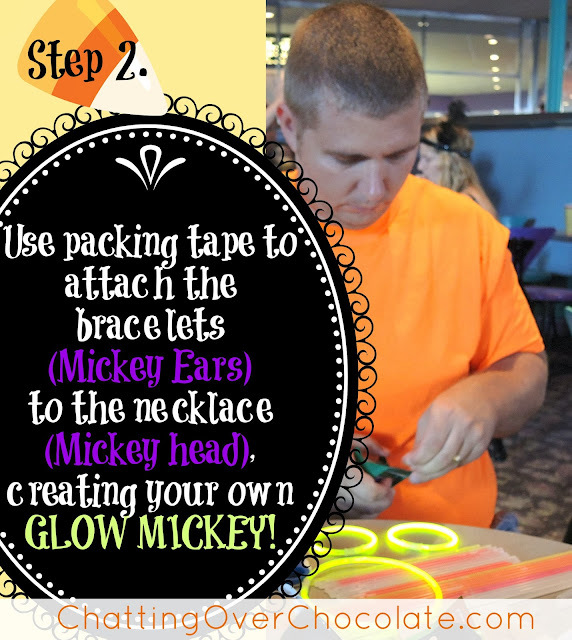 *You will also need the attachment pieces that come with, to secure and form the glow bracelets and necklace. How simple is that?! 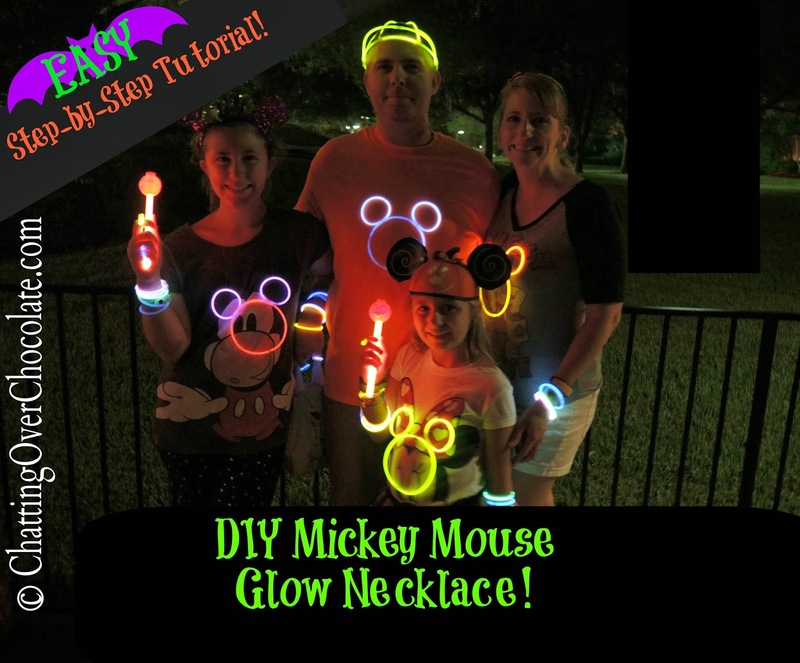 They were so much fun to create and wear at Mickey's Not-So-Scary Halloween Party this year! Whether you'll be attending MNSSHP, are looking for something fun to wear on Halloween night at home, or will be planning a Mickey Mouse themed party in the near future, feel free to pin and enjoy! Don't forget to visit my DISNEY! page for magical crafts, recipes, and Disney goodness galore! 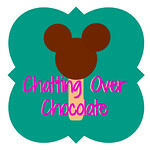 Make sure you don't miss a bit of the FALL FUN at Chatting Over Chocolate! What a great idea! I'm going to do for boys!